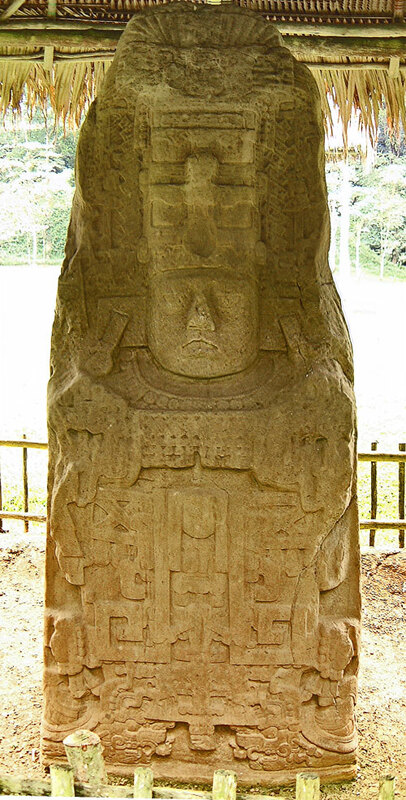 This is Stela K at Quirigua and is thought to be the last Stela erected at the site. It dates to 805AD and the rule of Jade Sky. Find out more in the article The Stelae of Quirigua.